The Invotek Group of Companies provides highly reliabiliable electronics manufacturing services, emphasizing superior customer service, along with world class quality, globally competitive pricing and on time delivery. In addition, we offer highly skilled product design and engineering services. 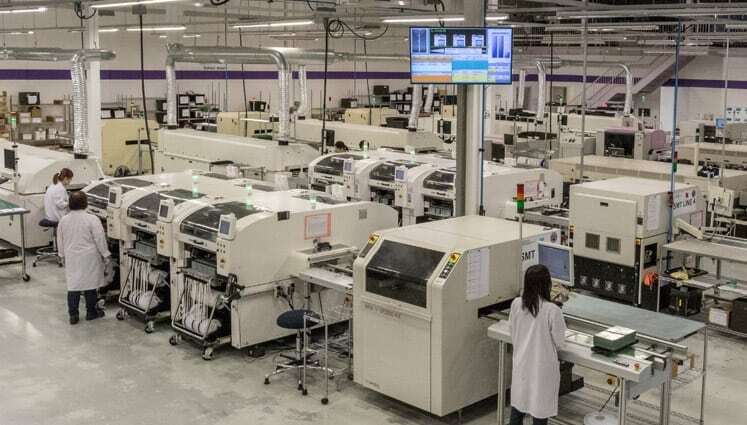 The Invotek Group is a global leader in electronics manufacturing services and we provide our customers with the “Your Factories” business model in a true collaborative partnership. The results are shared visions, increased efficiencies, and a faster time to market. The Invotek Group is a collective of industry experts focused on providing results to customers, employees and stakeholders. The Invotek Group is a leader in the electronics manufacturing industry, and is committed to continually investing in leading technology to be at the front of industry state-of-the-art advancements. Our global facilities employ onsite experts in quality and technology and we are continually upgrading our skills through education and strategic alliances. The Invotek Group is an industry leader and is constantly evolving in manufacturing and processing certifications on a global platform. The Invotek Group is committed to IP Security on a global basis and has established a secure internal network and protocol that protects all IP and customer information in all of our global facilities. The Invotek Group of Companies are focused on providing cost effective and Just-in-Time Delivery through our strategically located global facilities. delivered volume production of full turn-key lighting and control systems in three months.